Don't expect to spend three hours in the Amsterdam Tulip museum, but don't miss it either! This Museum is an interesting small museum that tells you the story about the world famous Dutch Tulip. It is situated in the touristic neighborhood the Jordaan. Close to the Anne Frank House and the central station. When visiting Amsterdam you will certainly not miss the famous Jordaan district. It is a nice, friendly neighborhood with little shops, art galleries, restaurants and cafes. And when you're there, just step into this friendly small Tulip-place and let it surprise you! This nice little museum can entertain and educate you! Listen and learn from this fascinating story of the Tulip. The exhibit consists of several interactive video displays that tells you the origin and travel of the Tulip bulb. The tulip became famous all over the world and was loved by emperors, kings and sultans. The Amsterdam Tulip Museum is located in the basement of the old building and on the first floor is a nicely decorated souvenir shop where you can buy these famous Tulip bulbs (only in season) and other unique Dutch souvenirs. The Tulips look beautiful and smell even better. 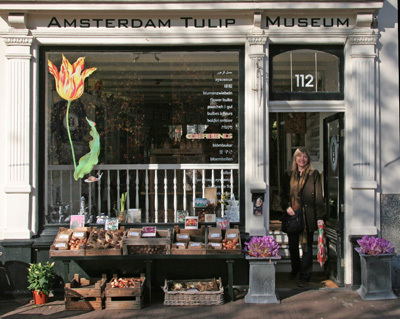 The Amsterdam Tulip Museum is a 15 minute walk from the Central Station in Amsterdam. You can also take bus 21, 170, 171 or 172 and get out at the Westerkerk. The Tulip Museum in Amsterdam is open daily from 10 a.m. to 6 p.m. During the school holidays also open on Mondays. The admission is 4 Euro for adults. Children 0 to 11 years: free. If you have the Holland Pass Amsterdam you can get free entrance or 50% discount on the tickets. 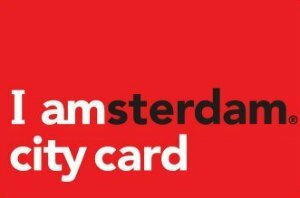 The IAmsterdam Card gives you also free admission.